Zagreb, the city of museums and culture, growing and developing quickly into one of the cities of the so-called New Europe is at the same time incredibly laid-back. The beauty of Plitvice National Park near Zagreb is world known. Due to the natural beauty of the waterfalls, cascades, caves and rocks, which offer a beautiful mosaic of colours, sounds and shapes surrounded by high mountain forest terrain, Plitvice lakes and its surroundings were in 1949 declared a National Park, and since 1979 have been under the UNESCO protection. Day 2:. 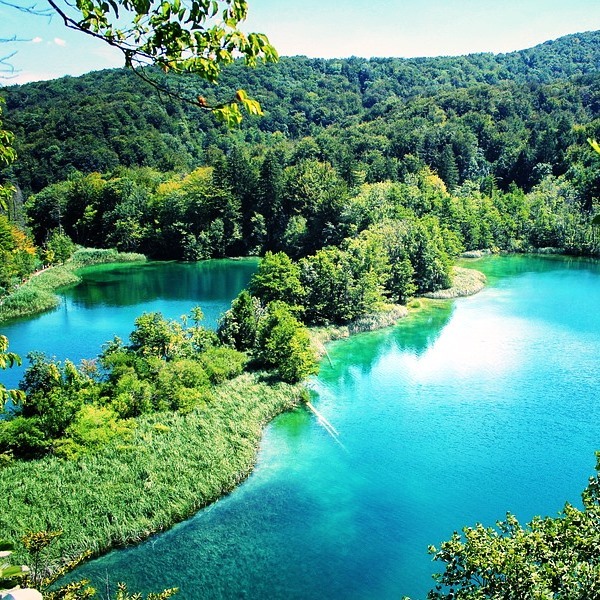 Full day excursion to Plitvice Lakes. Start at 08:00. The park is regulary included in the lists of most beautiful natural wonders of the worlds. We will take you through the wonders of the lakes with its waterfalls and untouched nature, along the walking paths and including boat rides on the lakes. Additionally we will visit the small village of Rastoke with its water mills where you can enjoy the harmony between nature and historic and cultural heritage of the region, where you will enjoy gastronomical delights of the region, all ecologically produced. On the way back to Zagreb we will visit War memorial museum in Turanj, near Karlovac. Return to Zagreb at 19:00, free time for an evening walk in centre. Day 3: Morning sightseeing tour 2-3 hours. The tour starts at your preferred meeting point, and then we will take you through the historic parts of Zagreb’s upper town, with its narrow streets filled with stories from the past. The Stone Gate, Grič Cannon and St. Mark’s Church are just some of the Upper town’s most cherished sights. Also, you will experience the elegant architecture of Zagreb’s lower town and it’s Austro-hungarian buildings and parks, as well as charming pedestrian streets and squares where locals love to relax. Transfer to airport. Our classic tours offer all travellers to Croatia the perfect combination of must-see sights, insider access, local traditional food & wine, and the experience of seeing the destination in it's whole, whether it's relaxing on beaches, island holidays, exploring UNESCO protected historic towns in our city breaks or witnessing the magnificent national parks. If You are looking for guided tours through Croatia in small friendly group our classic tours will combine the convenience of group travel, unbelievable variety, and the flexibility to go off the beaten path or explore on Your own. 4* and 5* accommodation. Private transfers, private guides.